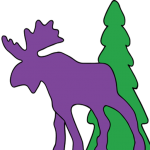 I’m a busy little moose packing up for Maine Quilts. Thought I would take a break and tell you all about the great things we have planned for the show! I’m very excited to have a guest in my booth on Thursday from 10-2. 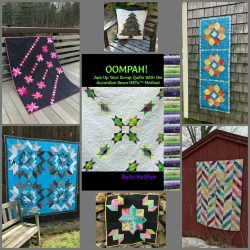 Beth Helfter of EvaPaige Quilt Designs will have her new book, Oompah! on hand for signing and she will be telling you all about her really fun way to make oodles of half square triangles. It will be a very entertaining time in the booth that day! 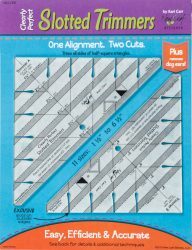 Thursday – 3pm – Slotted Trimmer & Clearly Perfect Angles – want to know how to make half square triangles easily, accurately and with NO DRAWING OF THE LINES? Stop by and I’ll show ya! 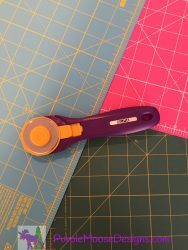 Friday – 3pm – Care & Feeding Of Your Rotary Tools – I’ll be passing on tips and tricks to keep your rotary mats and cutters in tip-top working condition. 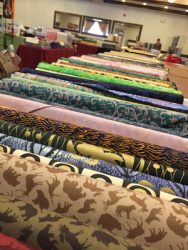 Saturday – 3pm – Housekeeping For Quilters – no…not that housekeeping (shudder…) I’ll be sharing tips on keeping all your expensive tools (machine, iron…) clean and ready for use. Okay…maybe I’ll throw in a great tip for doing the other kind of housekeeping. 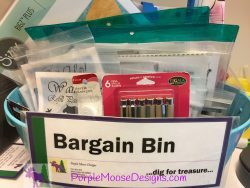 We will also have an enlarged Bargain Bin. We have lots of onsey-twosey stuff to get rid of. All fabrics will be 40% off too! Stock up while you can. Hope to see you at the show!